Want employers to see you as a future colleague? Learn how to dress professionally in the work place. Utilizing your network is one of the primary methods in sourcing and securing employment. Therefore, Management Career Services highly encourages our student clients to practice networking and develop their contacts throughout university. Although networking can happen anywhere and anytime, we will provide opportunities for you to meet working professionals and Dalhousie Alumni. We’ve developed 3 handy infographics to provide clear tips and advice to help you build your confidence and work up the courage to network like the pros. Networking can be scary. Approaching strangers, with the hopes they might be able to help you find a job? That can be intimidating! 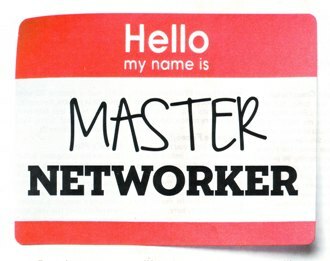 But there are plenty of reasons why you should network. Click the link above to read on.